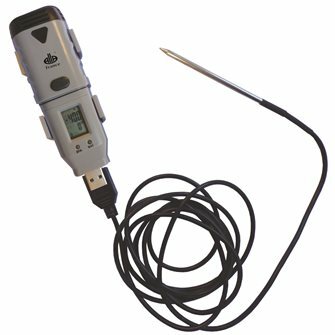 Temperature recorder -40 + 85 ° C USB interface with internal sensor and external probe. 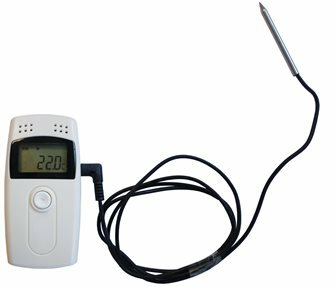 Digital wireless thermometer from 0°C to 300°C. 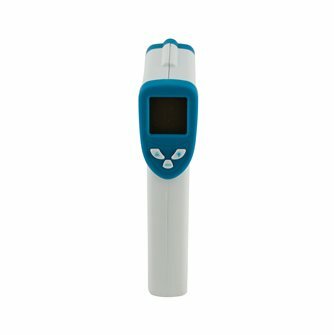 Infrared thermometer for surface temperature. 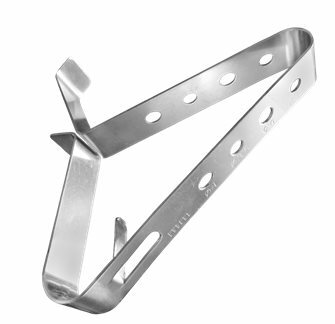 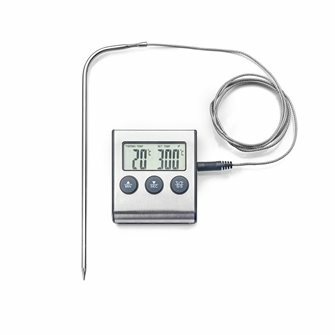 Stainless steel universal clip for probe thermometer on pan. 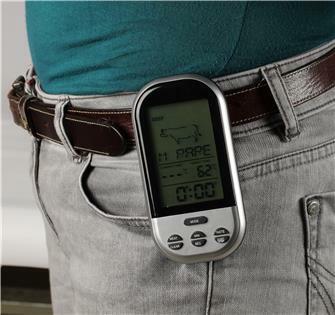 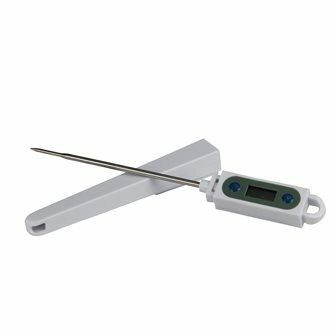 Digital probe thermometer in "T" shape -50 ° to + 200 ° C. for all food products or not. 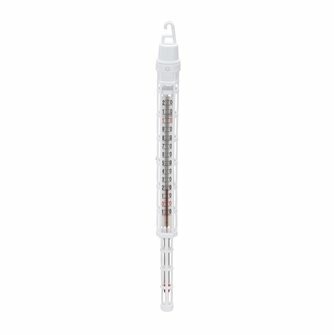 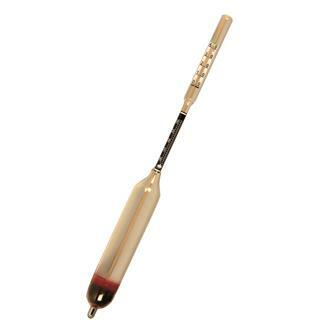 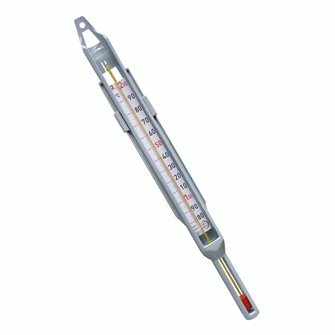 Digital probe thermometer from -50° to +200°C for all products. 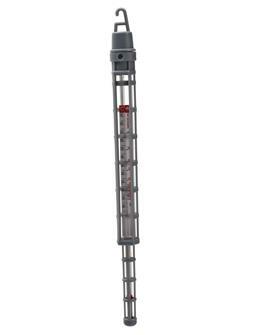 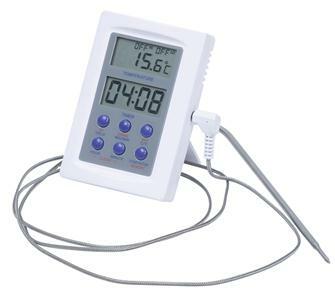 Temperature recorder -40 + 125 ° C USB interface and external probe, with software and installation driver. 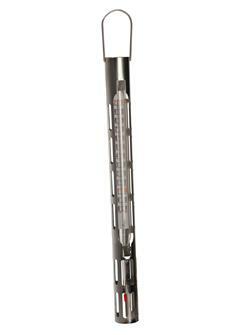 Wine thermometer. 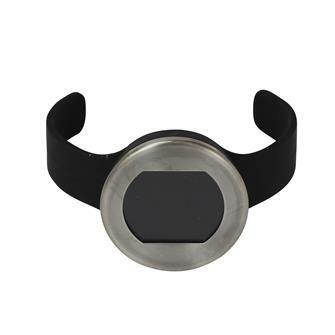 In the shape of a bracelet, it can be placed directly over a bottle to give the temperature. 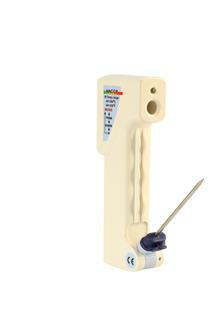 Infrared thermometer and heart probe. 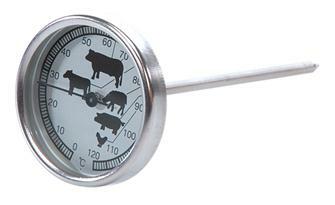 Roasts, jams, caramels, sauces, creams or cooked meats: cook at the right temperature. 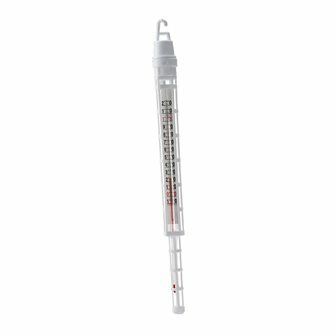 This thermometer measure on the surface or at the heart. 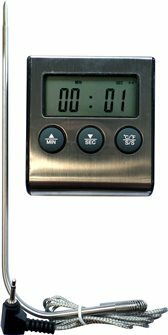 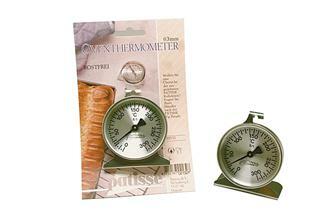 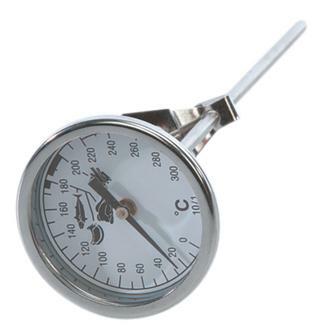 Oven thermometer with stainless probe and timer.